In terms of browsing speed and flexibility, Google Chrome has long been my favorite browser. A lot of this speed comes from the browser itself. The remaining speed is the result of its extensibility. Our best of Google Chrome extensions page barely scratches the surface. 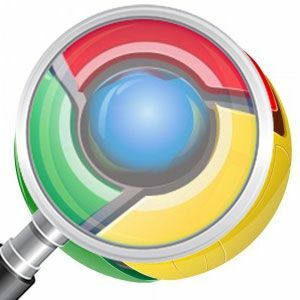 Another – and vastly underrated – way to crank up your Google Chrome browser is by using Chrome’s custom search engines. By using a preset keyword, you can search almost any website through Chrome’s omnibar. 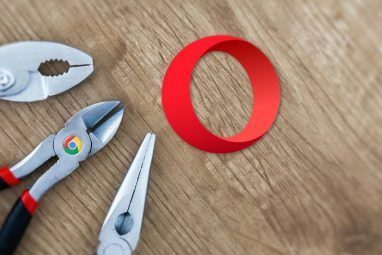 These custom search engines are added to your browser automatically as you browse the web, but we also showed you how to add your own search engines How To Create Custom Search Engines In Google Chrome How To Create Custom Search Engines In Google Chrome Read More to the list. Adding the search engine of Wikipedia, Facebook, or your favorite blog is a good way to start, but you don’t have to stop there. You can use Chrome’s custom search to launch more than just simple search queries. 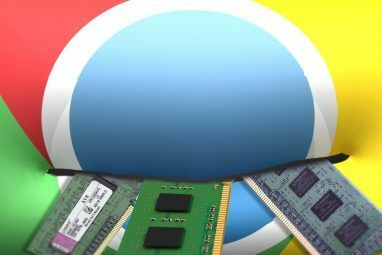 Google Chrome’s custom search engines are accessible through the preferences. Open Chrome’s settings page, and scroll down to the ‘Search‘ preferences. Click ‘Manage search engines…‘ to open the custom search panel. Here you’ll be able to see all the search engines that are currently active in your instance of Chrome. At the bottom of the ‘other search engines’, there are three input fields you can use to add your own search engine to Chrome. Add the website’s name, the keyword you want to use to access it through Chrome’s omnibar, and the search URL. For more information, take a look at the original tutorial, How To Create Custom Search Engines in Google Chrome How To Create Custom Search Engines In Google Chrome How To Create Custom Search Engines In Google Chrome Read More . Only half of my custom search engines are actually search engines. The rest of the list is, for the most part, comprised of my ‘special’ bookmarks, those websites that I visit almost daily. 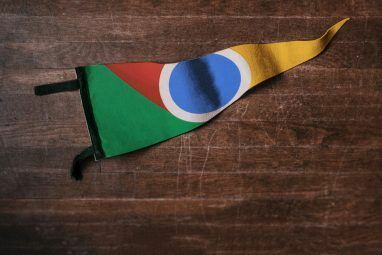 Instead of clicking through your bookmarks folder, or wasting screen real estate on a bookmarks bar, you can use Google Chrome’s omnibar to access those bookmarks on the fly. We accomplish this by adding the bookmark as if it were a ‘dumb’ search engine. That is, the improbable idea of a search engine that doesn’t accept arguments. Just add a search engine to Google Chrome with a simple keyword and the bookmark’s URL. Now, launching a website is as simple as entering the keyword in Google Chrome’s address bar, and hitting enter. This is especially useful for webpages that use bigger, complex URLs. Looking for inspiration? Take a look at Ellie’s take on the 20 must-have bookmarklets 20 Must-Have Bookmarklets for Your Web Browser 20 Must-Have Bookmarklets for Your Web Browser Read More , or browse through other MakeUseOf bookmarklet articles. By default, you’re only able to launch search queries with a single parameter (or none at all, like we did above). This is fine if you’re looking something up on Wikipedia, but doesn’t suffice if you’re looking for driving directions between two addresses. How are you using Google Chrome’s custom search? Let us know in the comments section below the article! Explore more about: Bookmarklets, Google Chrome, Google Search. Yea, here's the thing about Google Chrome, AKA "The NSA Spyware /Malware Nightmare". Google Chrome, in actuality the Chromium (a nice, open-source) browser which had been butchered by them is not really all that good - for example, in comparison with the web browser which has revolutionized the Internet some years back: Mozilla Firefox. Granted, it has -also- become a huge, commercialized POS - but, it has some HUGE advantages over Chrome which can't be overlooked; by anyone needing a *real* tool to navigate the web and utilize it, in the best way possible. One of the things, advantages, is the way profiles are handled. Configuration, customization, ease of use. Mozilla Firefox is user friendly. Not so, out of the box, as it NEEDS to be configured. Its about:config is a MAJOR strength. There is a need to talk about this, IMO, if you want to present Google Chrome in best light: there has to be PROOF that it's better than the alternatives. This, unfortunately, is not so. Mozilla Firefox has the about:config, all of its settings, the ones available from the GUI menus and others, stored in a file. This is the prefs.js (THE PREFERENCES, PREFS.JS) file which sits in the profile folder. There can be another file made, created, user.js (THE PERSONAL, USER, PREFERENCES, USER.JS) file which takes precedence over the prefs.js configuration settings and QUITE SIMPLY regulates the Internet experience EXACTLY AS INTENDED. "Why does Google Chrome leave running processes behind even after closing the browser?" Google Chrome, upon installation, has a WINDOWS SERVICE of its own AND/OR it is otherwise activated once the user logs onto the system (done, simply, through the Windows Registry): it does NOT ask the user whether we want to install it, if we want to run it. Nothing. It does it all on its own and it's completely invisible to a regular user. I've raved on for QUITE ENOUGH, here, really... Like, way. All you gotta do is think about it - don't believe everything you hear and read. Don't believe what I have written; but, it's all true. Look, for yourself, ANYWHERE you like - and you WILL find this (same) information. It is what it is. Pftt. Ugh, in your "Conclusion" (this article), you're linking to Mozilla Firefox AMO (btw., if you didn't know): "If you know how to use bookmarks, you know how to use Brief." (https://addons.mozilla.org/en-US/firefox/addon/brief/). Also, what seems to be missing: "Our best of Google Chrome extensions page barely scratches the surface". That link is 404, Page not found (//www.makeuseof.com/pages/best-chrome-extensions). how to set google.com as a Default Search Engine in address bar ? .com not other regional one ? You should just be able to use https://www.google.com/search?q=%s as the search string. Also, if you go to Google.com and are redirected to a regional page, you can disable this clicking on 'google.com' in the lower right corner of your screen. Now this is something that can be made use of EVERYDAY! You're the best, MakeUseOf.com! Thanks alot! That's a great feature in FF. Wish I could do it in Chrome.